Size Shirt Chest Shirt Length Fabric & Care The sizes shown are the measurements of the shirt. Most men are normally safe purchasing a shirt that is approximately 6" larger than their chest measurement. Please call us at 888-900-1950 or e-mail with any sizing questions. Small 44" 29" 65% Polyester & 35% Rayon. Made in the USA! When it comes to this style of shirt, you do not see that very often. We are all about producing high quality shirts at a low price and keeping the manufacturing here in the USA. 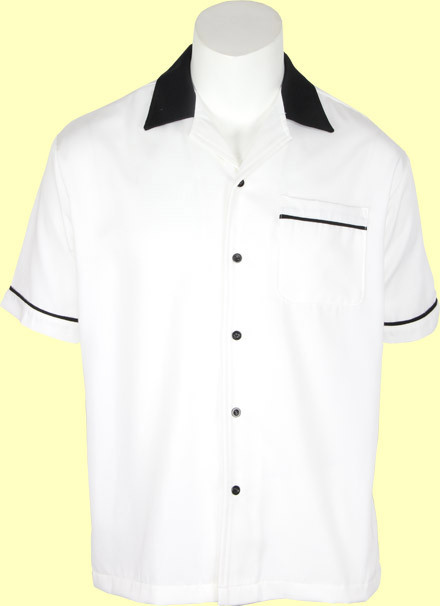 This shirt is produced from a Polyester and Rayon blend Gabardine fabric. It has a soft feel and a classic look. 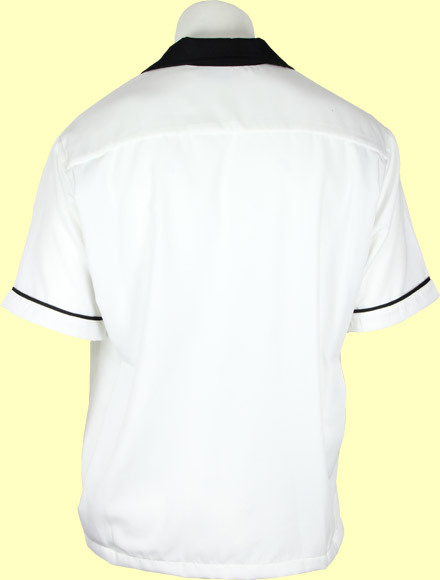 The shirt features one front chest pocket with accent piping, accent piping on the sleeves, accent color on the collar and accent color in both back side vents. A nice subtle touch is a spare button sewn onto the care label.